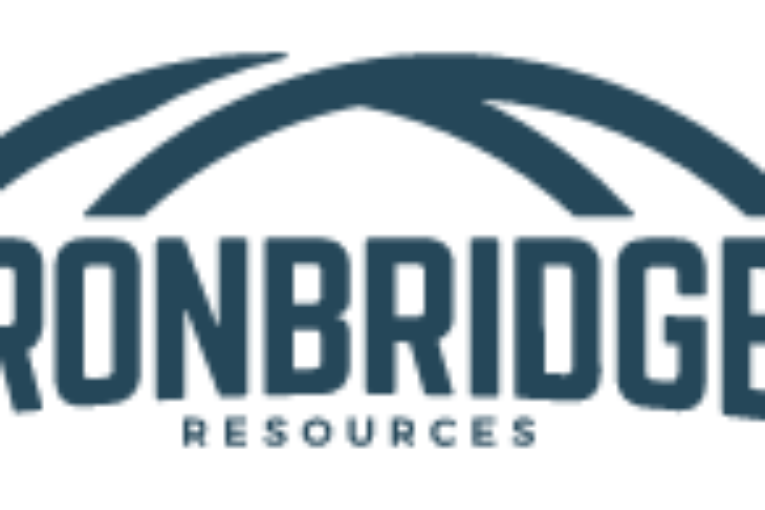 CALGARY, Alberta, May 14, 2018 (GLOBE NEWSWIRE) — Iron Bridge Resources Inc. (“Iron Bridge”, “IBR” or the “Company”) (TSX:IBR) today reports its financial results for the three months ended March 31, 2018. In the first quarter, average daily production from the Company’s Gold Creek field was 1,256 boe/d, weighted 31% light crude oil and NGLs. First quarter output was affected by intentional production outages on existing producers due to new well completion and battery expansion operations. During the quarter, producing horizontal wells located at IBR’s Gold Creek 2-23 Facility surface lease were deliberately shut-in to facilitate completion operations conducted on two infill development horizontal wells (the “8-21” and “02/8-21”) located on the same pad site as the existing producers. As a result of these shut-ins, two (2.0 net) Montney wells (the “3-22” and “4-18”) produced intermittently for only 64% (58 days) and 53% (48 days) of the time, respectively. Immediately prior to these well shut-ins, production from the Company’s three (3.0 net) Montney horizontal producers on the 2-23 surface pad, including the 15-23 well, approximated 1,700 boe/d (based on field estimates). The Company’s new 8-21 and 02/8-21 wells were both tied-in and brought on-production at the end of April 2018. IP30 production rates from these wells is expected to be press released near the end of May 2018. Current production for the Company (based on field estimates) is approximately 3,600 boe/d, with a number of wells still shut-in. First quarter 2018 adjusted funds flow was $0.97 million ($0.01 per share basic). The Company’s adjusted funds flow is expected to increase substantially with the aforementioned higher current production levels and ongoing optimization of its cost structure. IBR’s Gold Creek field operating netback during the first quarter was $16.69/boe, as compared to an operating netback of $10.67/boe in the preceding fourth quarter of 2017. The Company’s reported petroleum and natural gas (“P&NG”) revenue in the first quarter was $3.39 million, with light crude oil and NGLs sales accounting for 67% of such. There was no realized commodity hedging activity in the quarter. IBR’s light oil sales price in the first quarter for its Gold Creek production (43 degree API) was $72.45/bbl, approximating the Edmonton Par light crude benchmark price of $72.31/bbl. IBR’s first quarter sales gas price of $2.40/Mcf was at a premium to the AECO benchmark price, as its Gold Creek Montney gas benefits from a relatively-higher heat content as compared to the standard heat conversion used in the AECO benchmark pricing. IBR’s realized NGLs sales price in the first quarter was $55.82/bbl, approximately 77% of its realized light oil sales price at Gold Creek. P&NG royalty expense in the first quarter was positively impacted by a Crown gas cost allowance royalty recovery in the amount of $280 thousand. Excluding this credit adjustment, IBR’s first quarter corporate royalty rate would have been 4% of P&NG revenue. At Gold Creek, a significant portion of the Company’s current Montney production and future new well production, benefits from the Alberta Government’s Modernized Royalty Framework, which provides for a pre-payout drilling and completion cost allowance based on a revenue minus cost royalty structure across all hydrocarbons, a post-payout royalty rate based on commodity prices, and the reduction of royalty rates for mature wells. IBR’s significant Gold Creek Montney leasehold position of 49,920 gross acres (49,600 net acres) is substantially all Crown-lease based. First quarter 2018 net operating expenses of $6.36/boe. This was 39% lower than the preceding fourth quarter 2017 per-unit expense of $10.43/boe. In the first quarter, a prior period operating cost recovery of approximately $445 thousand contributed to lower reported operating costs. IBR’s strategic transition to a geographically-concentrated, Montney-focused play at Gold Creek, in conjunction with higher production levels, is expected to support optimized per-unit net operating costs on a go-forward basis. Per-unit net transportation costs were $8.29/boe in the first quarter. ‘Take-or-pay’ fixed charges associated with under-utilized firm service volume obligations on both the Pembina Peace Pipeline and Alliance Pipeline systems due to the aforementioned lower production levels in the first quarter, coupled with muted third-party mitigation of excess natural gas firm service, resulted in higher realized per-unit net transportation expense. The per-unit impact of these under-utilized fixed charges on the Company’s reported first quarter net transportation expenses was approximately $5.00/boe. Prospectively, IBR’s higher current production levels will mitigate the under-utilized firm service charges experienced in the first quarter. Iron Bridge’s first quarter 2018 head office general and administrative (“G&A”) aggregate costs, both cash and expensed, were lower than the comparative first quarter of 2017 and the preceding fourth quarter of 2017. First quarter 2018 expensed G&A amounted to $1.08 million, a significant decrease of 42% from the $1.87 million in the comparative first quarter of 2017 and a 37% decrease from the $1.73 million expensed in the fourth quarter of 2017, reflecting cost optimization initiatives undertaken by the Company. Presently, IBR employs 16 head office personnel, of which 13 employees are full-time. For 2018, the Company is estimating G&A expenses to average approximately $1.1 million per quarter (on average). In the first quarter, the Company completed its winter drilling and completions capital program with investment of approximately of $19 million, which included the drilling of three (3.0 net) horizontal Montney wells, high-intensity completion operations on two (2.0 net) Montney development horizontal wells (8-21 and 02/8-21), and a new water injection well completion (the “02/2-23”). Two of the wells drilled in the quarter were ‘step-out’ Montney delineation, land-holding horizontal wells which will continue 41 sections of prospective leasehold past its primary expiry date through to the year 2020. First quarter 2018 facilities and well equipment costs were $5.2 million, which included well equipping and tie-in connection capital for the 8-21 and 02/8-21 producers and the 02/2-23 water injection well. Invested capital also included significant enhancement work to the Company’s Gold Creek 2-23 Facility. This battery was re-configured in order to more efficiently handle high-volume wells and to facilitate future development and growth. As a result, throughput capacity at the battery has been increased from approximately 2,400 boe/d (prior to this work) to in excess of 6,000 boe/d currently. In addition to its own capital investment at Gold Creek, the Company remains quite encouraged by strong offsetting well results and very active field activity by operators proximal to IBR’s acreage. In the first quarter, in connection with the Company’s normal course issuer bid, share buy-back program (the “NCIB”), a total of 545,172 shares were purchased for cancellation for $366 thousand. The cancelled shares have been removed from share capital. Since commencement of its NCIB in November 2017, the Company has purchased a total of 1.77 million shares for cancellation for a total of $1.17 million. At the end of the first quarter, the Company had $15.5 million of cash-on-hand, an undrawn bank credit facility of $5.0 million, a $9.0 million share investment in Tangle Creek Energy Ltd., and net accounts payable of $17.6 million (net of accounts receivable and deposits.) During the first quarter, the Company recorded $158 thousand of interest income. IBR continues to progress its cryptocurrency mining pilot at its Gold Creek 2-23 battery site. Cryptocurrency mining equipment and a fit-for-purpose containerized facility is expected to be powered-up and operational near the end of the second quarter of 2018. The Company will provide progress updates as they become available. In the first quarter, approximately $25 thousand was invested in data mining gear in addition to approximately $24 thousand incurred in connection with advisory and consulting services. Iron Bridge will hold its annual general meeting of shareholders on Monday, June 4, 2018 at 3:00 p.m. (Calgary time) at the Altius Centre in the Conference Room, 2nd floor (+15 level), 500- Fourth Avenue S.W., Calgary, Alberta. Standard matters to be acted upon at the annual general meeting will include: i) presentation of the audited consolidated financial statements for fiscal 2017; ii) election of the current six (6) directors to the Board of Directors of the Company; and, iii) re-appointment of the Company’s auditors. The Company’s interim condensed consolidated financial statements and associated Management’s Discussion and Analysis for the three month period ended March 31, 2018 will be available on IBR’s website at www.ironbridgeres.com within “Investors” under “Financials”. Additionally, these documents will be filed later today on the System for Electronic Document Analysis and Retrieval (“SEDAR”). After such filing, these documents can be retrieved electronically from the SEDAR system by accessing IBR’s public filings under “Search for Public Company Documents” within the “Search Database” module at www.sedar.com. The information in this news release contains certain forward-looking statements. These statements relate to future events or our future performance. All statements other than statements of historical fact may be forward-looking statements. Forward-looking statements are often, but not always, identified by the use of words such as “seek”, “anticipate”, “budget”, “plan”, “continue”, “estimate”, “approximate”, “expect”, “may”, “will”, “project”, “predict”, “potential”, “targeting”, “intend”, “could”, “might”, “should”, “believe”, “would” and similar expressions. More particularly and without limitation, this news release contains forward-looking information relating to: expected production rates and adjusted funds flow; expected timing of mining operations and commercial arrangements with respect to IBR’s cryptocurrency mining operations; expected results and cost structure with the Company’s transition to a geographically concentrated Montney-focused play; and, estimated G&A expenses in 2018. In addition, statements relating to reserves are forward-looking statements, as they involve the implied assessment, based on certain estimates and assumptions, that the reserves described can be profitably produced in the future. These statements involve substantial known and unknown risks and uncertainties, certain of which are beyond the Company’s control, including: the impact of general economic conditions; industry conditions; changes in laws and regulations including the adoption of new environmental laws and regulations and changes in how they are interpreted and enforced; fluctuations in commodity prices and foreign exchange and interest rates; stock market volatility and market valuations; volatility in market prices for oil and natural gas; liabilities inherent in oil and natural gas operations; changes in income tax laws or changes in tax laws and incentive programs relating to the oil and gas industry; geological, technical, drilling and processing problems and other difficulties in producing petroleum reserves; obtaining required approvals of regulatory authorities; unexpected drilling results; the Company is unable to achieve its objectives; that the anticipated resource potential in the Gold Creek area is not achieved; changes in capital expenditures, reserves or reserves estimates and debt service requirements; the occurrence of unexpected events involved in the exploration for, and the operation and development of, oil and gas properties, including hazards such as fire, explosion, blowouts, cratering, and spills, each of which could result in substantial damage to wells, production facilities, other property and the environment or in personal injury; changes or fluctuations in production levels; delays in anticipated timing of drilling and completion of wells; lack of available capacity on pipelines; the lack of availability of qualified personnel; uncertainties associated with estimating oil and natural gas reserves; and ability to access sufficient capital from internal and external sources. Many of these risks and uncertainties and additional risk factors are described in the Company’s Annual Information Form for the year ended December 31, 2017, which is available at www.sedar.com.